Siri as we all know is the name of Apple’s personal digital assistant. It is intelligent and talks back with us, it understands what you say, handles basic chronological implications and has a personality. But still it lags in certain areas and that is reason sometimes we hate it for this. It is available in iPhone 4s and later versions including iPad Pro, iPad (3rd generation and later), iPad Air or later, iPad mini or later and iPod touch (5th generation or later). It requires internet access to reply to your commands and work as per the instructions. Individuals like it as it makes their work easier but apart from this it does excel in few other areas also. Most of us believe that Siri has a default voice that cannot be changes and the same voice will follow us always. But, let me tell you now you can change the accent and gender of Siri. To know how to do all this you need to read the article. How to change the Siri voice on iPhone, iPad, Apple Watch, Mac, or HomePod. 1. Go to Settings > Siri & Search > Siri Voice. Note: Native English-speaking users or users who belong to English speaking countries will see options like American, Australian and British voices. You can choose which accent you want Siri to speak from this list. Besides, you can even change Siri’s gender can choose between Male and Female variations of the voices. 2. Once you have selected the voice in which you can Siri iOS will take some time to download the new voice. While the voice is getting downloaded in the background, you can use the basic robotic version of voice. It will be available instantly. This way you will be able to change Siri’s gender and voice accent on iPhone, iPad and Apple Watch. Note: The voice you will select for your iPhone will be used for your Apple Watch (Series 3 and later). How to change Siri Voice on Mac? 1. Press the command key (?) and spacebar altogether on your keyboard to open Spotlight Search. Here, type System Preferences. 2. Next click on Siri, to open Siri Voice menu. Here you will be able to see various options like- American, Australian, and British voices and under Siri Voice you can change Siri’s gender. 3. Select your preferences and you are all set to go. 1. Go to Home App, on your iPhone or iPad. 2. Now go to 3D Touch or long press HomePod. 3. Next, tap Details and scroll to locate Siri Voice option. 4. Once you get the option you will then be able to change Siri Gender to Male/Female and accent to American, Australian, or British accents in English speaking countries. After following this step by step instruction guide you will be able to change Siri Voice Accent and its Gender. 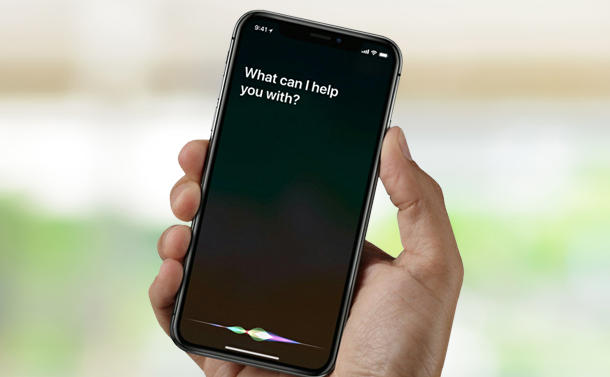 Undoubtedly, Siri is a fantastic voice assistant and with these options it is much more enjoyable now to use Siri.As the world today, is filled with portable devices that are becoming sophisticated Apple needs to make some changes to Siri. Surely, these add-ons will make Siri stand out and these steps will make oblivion users aware about Siri’s best features. You just need to follow the instructions on and get things straightened. It won’t take much time to get Siri work the way you want. How will AR Refashion E-commerce?